Jewish Free PressNovember 22 2001, pp. 8-9. Atlas, S., and M. Perlmann. "Saadya on the Scroll of the Hasmoneans." Proceedings of the American Academy for Jewish Research 14 (1944): 1-23. Fried, Nathan. "Nosah 'Ivri Hadash Shel Megilat Antiokhos." Sinai 64 (1969): 97-140. Golinkin, David. "Hanukkah Exotica: On the Origin and Development of Some Hanukkah Customs." Conservative Judaism 53, no. 2 (2001): 41-50. Kaddari, M. Z. "Megillat Ant9iokhos Ha-Aramit." Bar-Ilan Annual 2 (1964): 211-3. Rosenthal, F. "Saadyah's Introduction to the Scroll of the Hasmoneans." Jewish Quarterly Review 36 (1945-6): 297-302. Although Hanukkah was established in order to commemorate a momentous exploit in Jewish history, the traditional documents of Jewish religious literature do not really say much about the historical events that are being celebrated. The Maccabean revolt occurred too late to be recorded in the Bible; and the Talmud and Midrash speak only in vague terms of the Hasmonean triumph over the Greeks, the purification of the Temple, some cases of martyrdom, and the famous miracle of the oil cruse. Arguably, it is possible to be an observant and knowledgeable Jew without having any familiarity with the major battles or heroes of the Maccabean revolt. For many Jewish communities during the Middle Ages, this deficiency was offset by the availability of an account of the Hanukkah story that usually circulated, under the name "the Scroll of Antiochus," though it was also known by such diverse titles as "the Scroll of the Hasmoneans," "the Scroll of the Greeks," or "the Scroll of Hanukkah." The best-known text was in Aramaic, but Hebrew and Arabic versions were also in existence. There is no agreement about when the Scroll of Antiochus was composed. 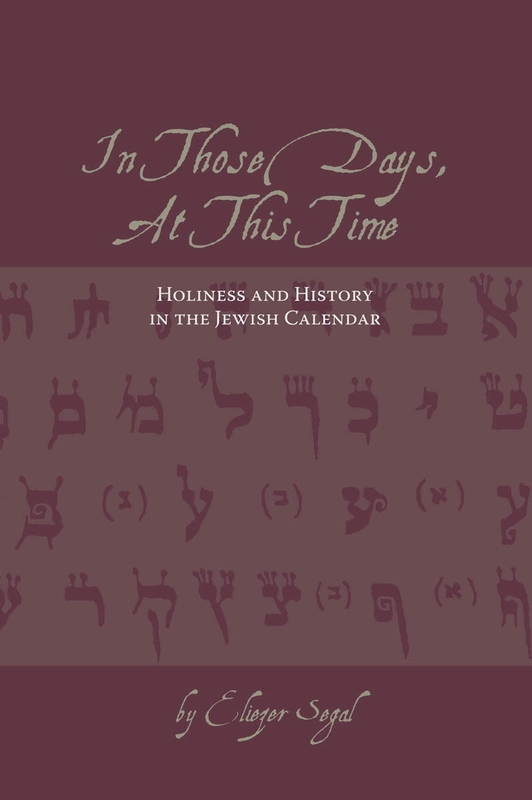 The most extreme claim for its antiquity was that of the tenth-century teacher Sa'adia Ga'on, who claimed that the scroll had been written down close to the time of the events that it recounts; i.e., in the middle of the second century B. C. E. An eighth-century compendium of Jewish law known as Halakhot Gedolot ascribed the work to the elders of the Houses of Shammai and Hillel, sometime in the first century C.E. ; however this claim is not found in all the manuscripts of Halakhot Gedolot; An analysis of the scroll's Aramaic dialect seems to point to the Talmudic era (2nd - 5th centuries), but this phenomenon has been explained away as an instance of the author's imitating the style of earlier texts. In the absence of clear-cut evidence for the scroll's ancient origins, most historians have taken a cautious position, dating it to the early medieval era, close to the beginnings of the Arab empire. In order to explain why it should have been composed at this particular time, several scholars tried to draw conclusions from Sa'adia Ga'on's attitude towards it. Sa'adia was renowned as an aggressive champion of the rabbinic oral tradition, a tradition that was being challenged in his time by the Karaites, a Jewish movement that rejected the Talmud and relied exclusively on the authority of the Bible. Hanukkah, a holiday with no biblical source, was a convenient target for the Karaite polemical assaults on rabbinic tradition. It was in response to such charges that Sa'adia was impelled to make exaggerated claims about the scroll's antiquity and authority. In addition to the above-mentioned assertion about its early date, Sa'adia found many ways in which to treat the scroll as if it were a full-fledged biblical book, with a status similar to that of Esther. In one of his commentaries, he cites a proof-text from the Scroll of Antiochus as if it were a biblical verse. He also mentions that it was customary to copy the scroll with vowels and cantillation signs, and to divide it into parshiyot, practices that were rarely applied to texts outside the biblical canon. Sa'adia even composed an Arabic translation to it, complete with a learned preface, just as he did for the books of the Bible. Sa'adia's efforts on behalf of the Scroll of Antiochus led to its widespread acceptance by many Jewish communities, including those of Spain, Italy, Yemen and Persia. Its text was included in many manuscripts and early printed editions of the Bible, as well as in prayer books. Several medieval rabbis report that the Scroll was read publicly as part of the Hanukkah services, usually on the Sabbath that occurred during the holiday. Differing customs existed as to when the scroll should be chanted in the synagogue: Some localities did so prior to the Haftarah on the Saturday morning of Hanukkah, or immediately following it; others read it late in the afternoon, at the end of the Minhah service. Arabic-speaking communities normally recited it to the accompaniment of Sa'adia's Arabic translation. The Italian Rabbi Isaac Di Trani the Elder discusses whether a blessing is required for the reading of the Scroll of Antiochus. Although the Scroll of Antiochus agrees in most respects with the story that is told in the Books of Maccabees or in the works of Josephus Flavius, it also contains some interesting differences. For one thing, it includes the talmudic tale about the jug of oil that burned miraculously for eight days, a legend that is not found outside of the Babylonian Talmud. The scroll speaks of Judah Maccabee falling in battle during the lifetime of his father Mattathias; whereas all the other records claim that Mattathias died before the outbreak of the revolt. Perhaps the public reading of the Scroll would appear more attractive if congregants were encouraged to respond with catcalls and noisemakers to every mention of the name "Antiochus."